13 Random Roadtrip Rules – or what I learned on my summer vacation. 1. Pack good sandwiches. Perhaps it goes without saying but just what those snacks are is sort of crucial to the overall happiness of the journey. We had salami sandwiches which are a road trip staple of mine. Delicious, chewy and loved by all. I cut them into individual sizes then wrap each one with a paper napkin then stuff them all in a plastic bag. Makes for easy dispensing along the way. 2. Bring treats for random dispensing. You know that little drawer under many front seats? That’s where we kept our candy stash. Now of course candy seems like a bad idea when you’re all stuffed in the car for so long but dispensed in small increments, candy are the proverbial carrot on a stick.”Let’s have a treat when we hit the 150 mile mark.” And all would be cool heading toward that point. We had Swedish Fish and Gummy worms and Red Cherry Twizzlers which could be used for eating or crafting which made them last that much longer! Be careful to choose candy that is not messy – no chocolate or other meltable candys. And no powdery items which could spill all over and leave you sitting in a pile of sticky. If you’re against candy, choose the usually verboten treat of your liking. Again with a mind on the mess. 3. Drink water only. I don’t like stickiness. And I especially don’t like wet stickiness. One juice spill was enough to make us institute a water only rule. If we had something else to drink it was had while at a stop. Not in the car. 4. Give everyone DJ time. Super fun. And now with ipods in practically every pocket, everyone can bring their own music. Plug it in and give everyone a time limit or a song limit – depending on your threshold. 5. If you have dvd player in the car, use it sparingly. On a roadtrip you’re driving to see the country. So if everyone’s staring at a screen, the point is sort of lost. While we were mostly on smaller roads, on major highways we allowed movies. And when it was dark. Otherwise it was a no-go. And nobody seemed to mind in the slightest. 6. Find smaller roads if you can. The green highways on the map are lovely. We traveled on one such road from Natchez Mississippi all the way to Nashville and it was a dream! Beautiful road and super nice rest stops and no trucks. Plus an incredible view of a state none of us had ever spent much time in. The green roads show you the country’s loveliness. 7. Stop and look at the local flavor. Go in the tiny grocery stores along the back roads. Talk to the clerk. Ask them about their town. You can stop in the tourist spots too but the local non-tourist destinations give you a glimpse of life you’ll never get in the tourist destinations. 8. Bring a song book and find a list of good travel games. 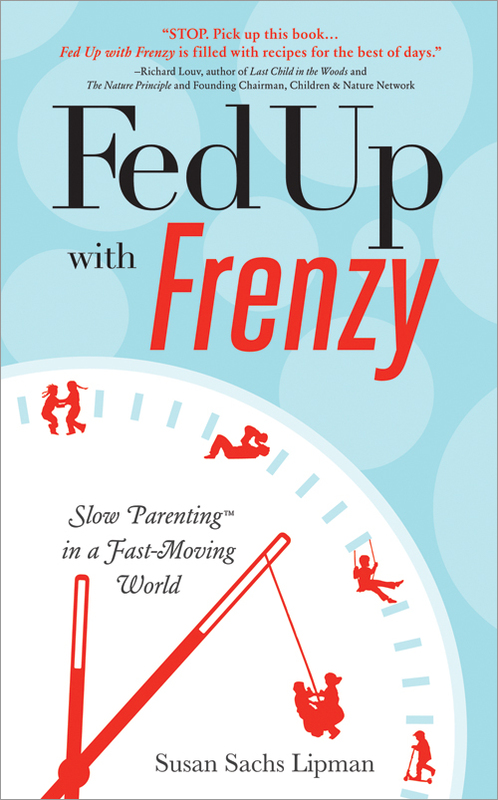 We brought Rise Up Singing which has the lyrics to HUNDREDS of old songs and Suz Lipman’s new book Fed Up With Frenzy which has a whole section on travel. While some games are age specific like word games, games like 20 questions and the license plate game and Guess Who I Am can be played by one and all. For games that are too old for some, make teams. And of course don’t forget to keep a list of license plates! 9. Do something totally random. On one of our stops at a reservoir we went skinny dipping in the middle of the day. My 9 year old was THRILLED! And I’m sure that will go down as the highlight of her trip. It was short and fun and felt like life away from home. 10. Allow yourself time. If you’re rushing to something that sort of eliminates the road trip feeling of freedom. Allow an extra day that you can take or not take. Allow an extra hour in the day for stopping here and there. From the very beginning we said it would take 4 or 5 days and that extra day made us feel like we had all the time in the world. 11. Find hotels with pools. After sitting all day a pool gives the kids just the movement they need. And usually a pool has a table next to it where you can sit and have a cocktail. 12. Suspend some of the usual rules. In the hotel we watched tv until late. In the car we ate foods that are usually forbidden. 13. Be quiet. In one portion of the trip where it was getting particularly LOUD, I declared I would take an hour of silence. It felt so good to not intervene in everyone’s business. It felt good to step back from refereeing and interrupting. While the noise continued around me, it felt good to sit in silence for a change. For me time in the car on a trip like this is like incubation for the family. We laughed, we cried, we sang, it was the feel good drive of the summer. If you can, might I recommend one for your family? Whether it’s a day or a week, it’s a great way of shutting out the world and finding some time to connect.